The partners of Varin Wardwell come from some of the largest and most respected firms in the Northwestern United States. A young and entrepreneurial group, Varin Wardwell has quickly established themselves as a high-end boutique firm serving a wide-range of clients in Idaho. The firm's specialities include litigation, business transactions, intellectual property, healthcare, tax law, and more. 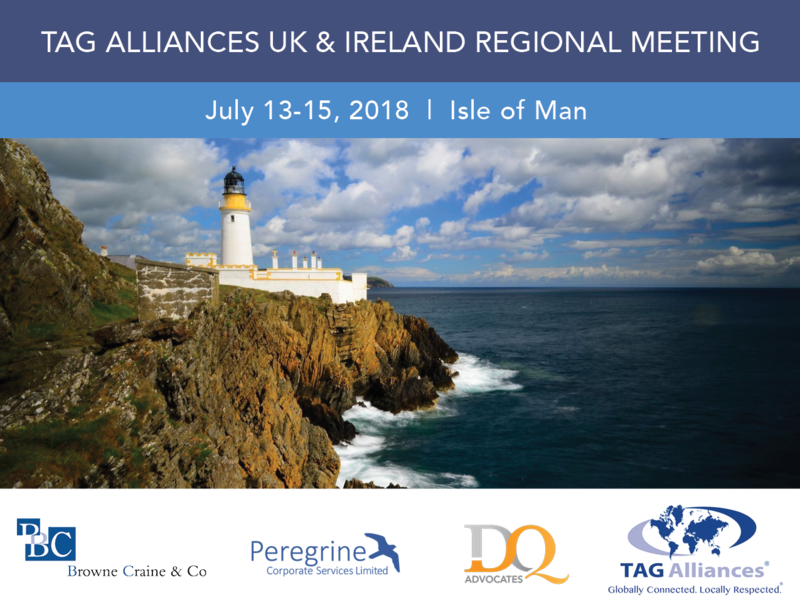 TIAG Member Browne Craine & Co (“Browne Craine”) and TAGLaw Member DQ Advocates (“DQ”) were honoured to host the 2018 TAG Alliances’ (“TAG”) UK and Ireland Regional Meeting which took place between 13th and 15th July on the Isle of Man. The meeting, which was also supported by fellow Island based TAG member Peregrine Corporate Services, brought together members from the UK, Ireland and further afield, with members coming from as far as Europe, Africa and North America for the meeting.